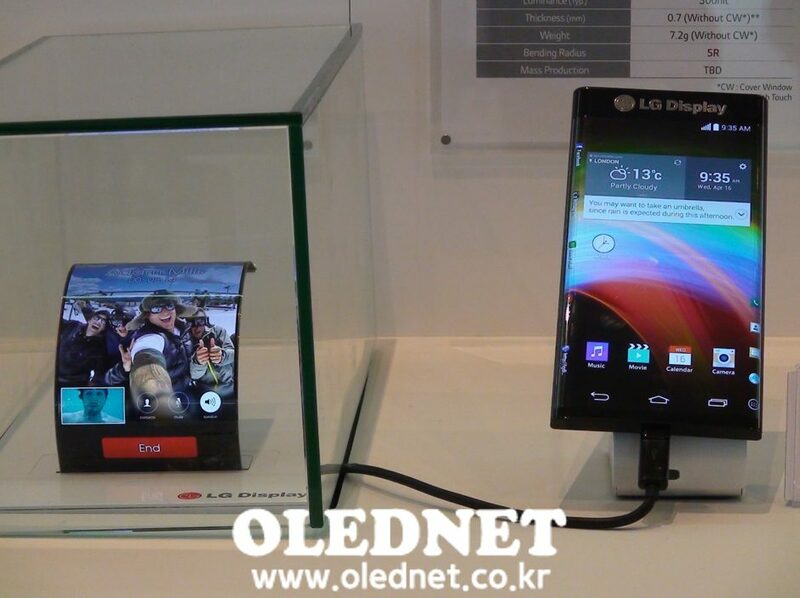 현재 위치: 홈 / 컨텐츠 / 포커스온 / 디스플레이 / LG Display, next is the plastic OLED! 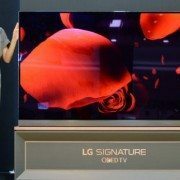 Supported by the success of WOLED production for OLED TVs, LG Display is ambitiously formulating the next project with the plastic OLED. The development of dual-edge plastic OLED was completed as an extension of the plastic OLED product already used in LG’s G Flex and G Watch, and the product for automobile dash board is under preparation. Presenting the curved plastic OLED display for dash board and dual-edge plastic OLED at the press conference exhibition hall of CES 2015, LG Display demonstrated its diverse products portfolio employing plastic OLED. 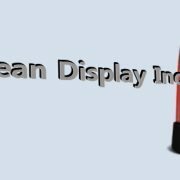 LG Display CEO Han Sang-beom mentioned at the press conference that the dual-edge plastic OLED panel to apply for diverse customers and smartphones is under discussion and the product for a dash board is under development in close collaboration with two automobile companies. However, he also said that it may require more time as the display for an automobile demands brighter light quality and the clients are expecting to use it from 2017. 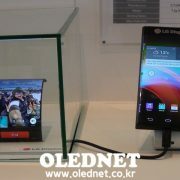 Though the original plastic OLED produced by LG Electronics for G Flex was only HD level resolution incompatible with other displays for smartphones, now the FHD plastic OLED for the G Flex 2 which was announced at CES 2015 secured enough competitiveness in terms of resolution compared to the LCD and OLED panels manufactured by other rival companies. 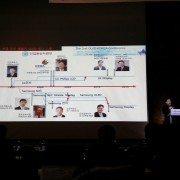 “A decision for investment will be made soon!” said Mr. Han at the end of the press conference regarding the plastic OLED line investment. The size of the early investment is estimated to be Gen6 15K and the major clients for the plastic OLED panel will be LG Electronics and Apple. http://olednet.com/wp-content/uploads/2015/01/an183.jpg 703 940 OLEDNET /wp-content/uploads/2015/09/logo_oled.png OLEDNET2015-01-30 09:00:002018-07-11 22:42:02LG Display, next is the plastic OLED! 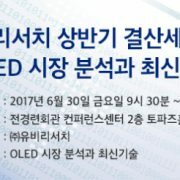 제 17회 OLED World Summit이 개최된다.